We specialize in trendy, unique, quality Necklaces, Jewelry. 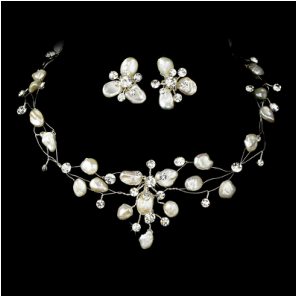 Our collection includes some of the most unique beach destination, vine & leaves, Austrian Crystal, and freshwater pearl jewelry on the market! Enjoy Safe, Secure Shopping & Free Shipping to the Continental US! Friendly Customer Service is Available 8a.m.-3:30p.m. MST Mon.-Fri.
Our unique collection features silver and gold plate jewelry with Swarovski Crystal elements. Enjoy trendy jewelry designs you won't find just anywhere online. Authorized Elegance By Carbonneau retailers. For your safety and convenience, we use PayPal online payment processing for all transactions. Your personal and financial information is always safe! Our unique, Silver Starfish Pendant Necklace is perfect for any occasion! 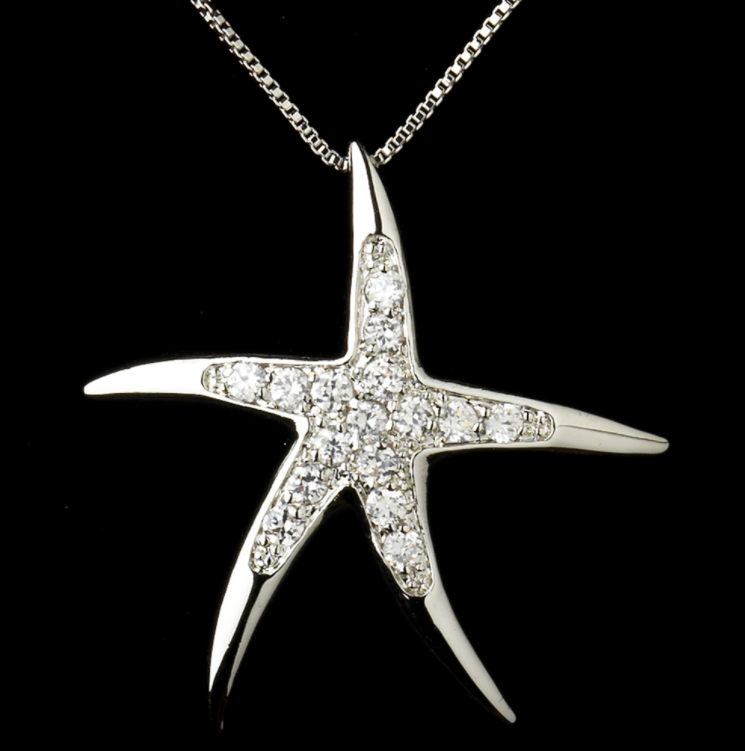 This simple yet elegant starfish theme pendant features clear CZ crystals and silver plating for a look that goes great with jeans, or formal wear. Wear it to the beach, or and evening out, either way, it's sure to grab attention! Our ALL NEW Silver Infinity Pendant Necklace is a trendy addition to your ensemble! Just in time for Christmas, our new Infinity Necklace makes a fabulous gift, or you can buy one for yourself for a stunning addition to your formal or casual wear. Our most popular necklace & earring set, this silver vine necklace features stunning clear crystal leaf accents for a truly enchanting evening out. This absolutely lovely set is also perfect for your special day! 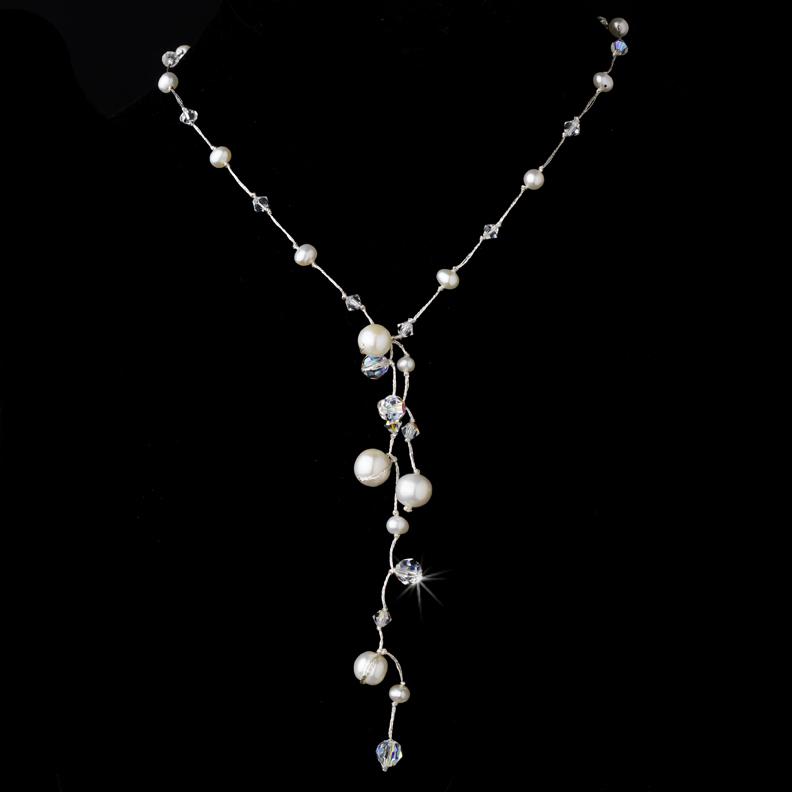 Materials: Solid .925 sterling silver, Cubic Zircons, and a fresh water pearl drop strung on a delicate silver chain; includes matching dangle pearl earrings. 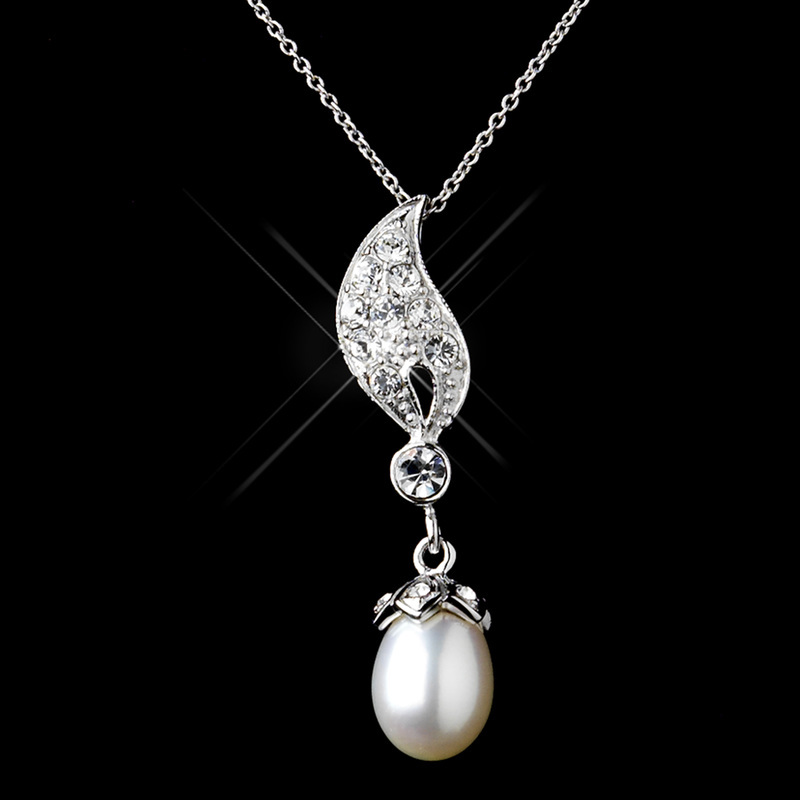 Necklace measures: Necklace - 18" (Length) 1.4" (Drop) 7.40mm (Pearl). Materials: This simple yet elegant Butterfly necklace features a Silver plated chain and setting, with Cubic Zarconia stones. The Statement Necklace you choose can add extra flair to ensure that you get across the message you wish to portray with your clothing. To choose the right necklace for your ensemble, the first thing you need to decide is what statement you are looking to make! You may have already decided this with the outfit or dress you have chosen and just need that special accent piece to set off the whole look perfectly! Dresses with deep V neck lines can be accented with sparkly, flashy drop pendants that dangle low on the chest to match the V line of the dress, this also works with V neck shirts as well. You may also choose to leave your onlookers wondering with a V shaped necklace that partially covers what the V line of your dress does not; to pull off this teasing look, you want to look for a "Fringy" necklace with multiple dangling strands. 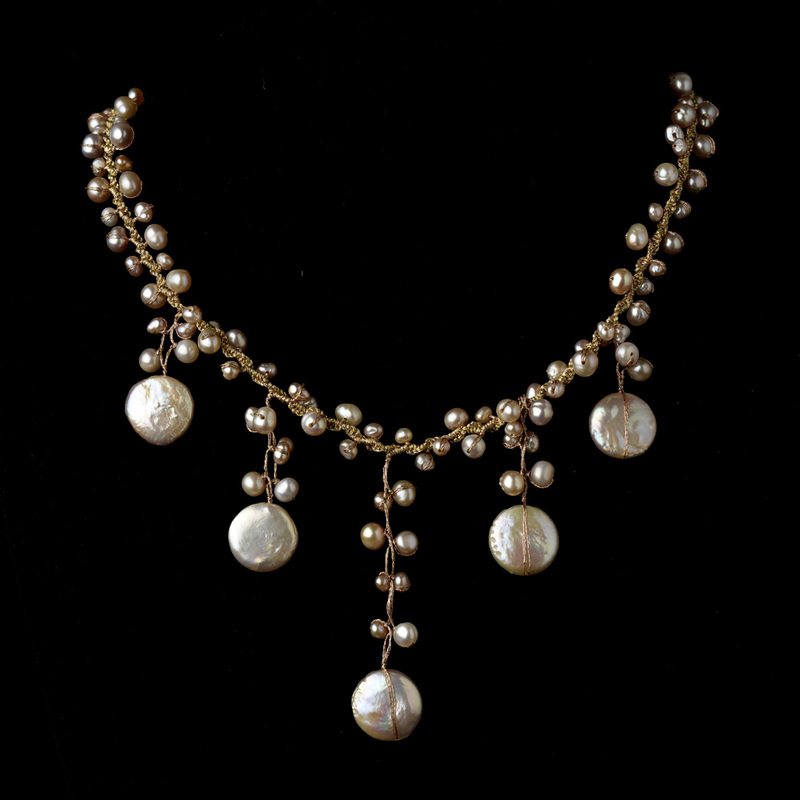 This striking style can gain simplicity with a choker necklace, but you may wish to spice things up instead with a multi-strand necklace accented with small pearls or crystals. If you enjoy our fashion tips, you may want to check back from time to time as we will be adding to this section whenever we have a great tip to share! Statement-Necklaces.com is an Authorized Elegance by Carbonneau Retailer. Statement-Necklaces.com is not an authorized dealer of the other featured brand name items. Disclaimer: All images on this site are property of the original image licensors. Informational material and representations have been provided by the manufacturers of the listed products. *While we work to ensure that product information is correct, actual product packaging and materials may contain more and/or different information than that shown on our Web site. For additional information about a product, please contact the manufacturer. Actual colors of items may differ slightly from those displayed on the site depending on monitors' screen resolution, color values etc. Statement-Necklaces.com and/or it's proprietors assume no liability for any manufacturers descriptions of these products or for inaccuracies or misstatements about products.